MXGP rider Nico Aubin will line up for the remainder of the 2018 Power Maxed Arenacross Tour with RFX Suzuki. He’ll be joining the rest of the battling Pros on the AX grid for his first-ever AX outing at round three of the series at The Genting Arena, Birmingham this Saturday, January 20th. The super-fast Frenchman is no stranger to the UK, or success, as he previously rode with Dave Thorpe’s Buildbase team in the British MX series, won the Red Bull Nationals in 2012 and played a pivotal role in taking the French Motocross of Nations team to second place at Donington Park in 2008. He currently runs his own Amexio Suzuki team and, together with his brother Arnaud, competes in French motocross and supercross championships. 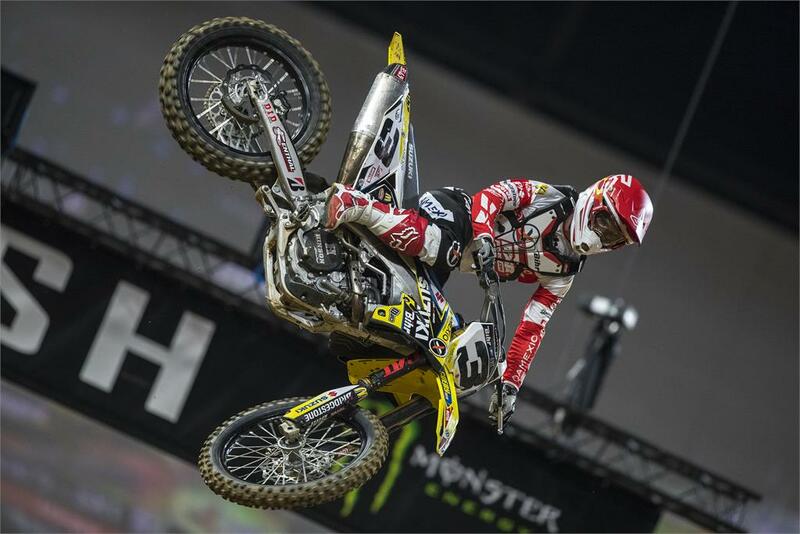 He finished second behind leading AX Pros Cedric Soubeyras (Team FRO Systems) and ahead of Thomas Ramette (SR75 Suzuki) in the French Summer Supercross series, and took another second at the Dortmund Supercross event last weekend. The 29-year-old, who lives in Normandy, is fired-up to be returning to the UK and reckons he could upset some people and has a real chance to get on the AX podium. Said Aubin: “I had planned to get a bit of free time in the off-season, but I’m feeling good physically and I just really love racing. After finishing second last week, I decided I needed to continue riding and I was looking at my options when I took the call from RFX. Sometimes things are just meant to be and here I am joining the team. Everybody is happy.